Latest Android 8.1 Oreo-based OxygenOS 5.1.4 update for OnePlus 5 and OnePlus 5T added advanced battery optimization in standby, better image quality, group messaging and bring July 2018 security patch. Download OxygenOS 5.1.4 for OnePlus 5 and OnePlus 5T from below. The update is rolling out via OTA (over-the-air) and many users already getting OxygenOS 5.1.4 for OnePlus 5T. The update is incremental and rolls out in phase wise manner. You can wait for the OTA updates, or you can Update Oneplus 5/5T to OxygenOS 5.1.4 Oreo manually with below method. Download OxygenOS 5.1.4 for OnePlus 5 and OnePlus 5T from below. 4) Download the OxygenOS 5.1.4 for OnePlus 5 and OnePlus 5T from above Copy ROM to a folder where adb installed. 1) Download OxygenOS 5.1.4 OTA zip file from above and save it on your internal phone memory. 6) Select the zip file, and it will Install OxygenOS 5.1.4 OTA update file on your OnePlus 5/5T. 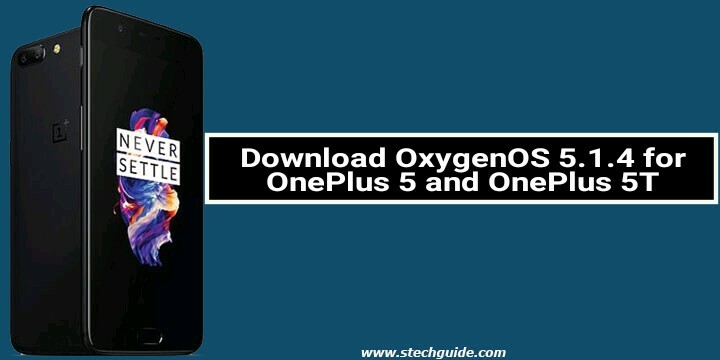 That’s all this is the complete guide to Download OxygenOS 5.1.4 for OnePlus 5 and OnePlus 5T (OTA + Full ROM). Have any questions? Do let us know that in the comments below. Stay connected with us via Facebook, Twitter, and Google Plus to read more such helpful posts.